A common theme in my house designs is the idea of “Engawa”. 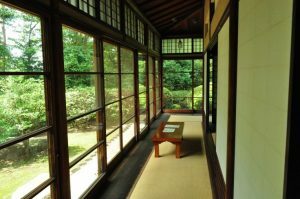 In Japanese architecture, an engawa (縁側 or 掾側) usually referred to the wooden strip of flooring immediately before windows and storm shutters inside traditional tatami rooms. 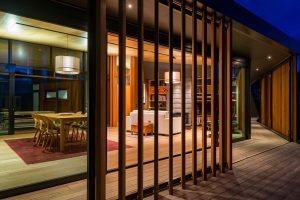 Nowadays it also has also come to mean the veranda outside the room. I like providing sheltered outdoor spaces enclosed in part by sun shades and wing walls. 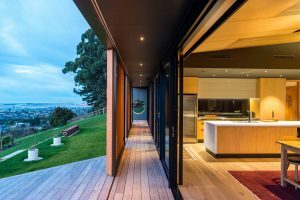 These areas not only act as a buffer between inside and landscape, controlling sun etc, but also add to the sculptural form of the house or building and can enhance the visual relationship with the immediate and distant views.